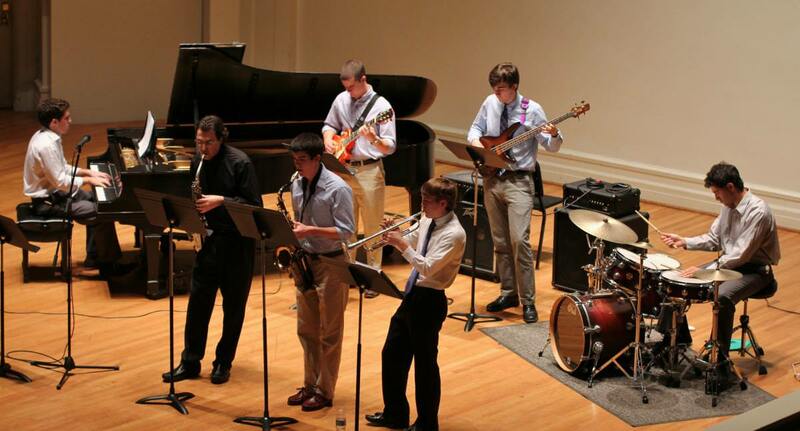 The McIntire Department of Music presents Jazz Small Groups on Sunday, November 18th at 7:00pm in Old Cabell Hall. The Jazz Small Groups are taught by distinguished jazz performance faculty members Peter Spaar, Jeff Decker and Mike Rosensky. 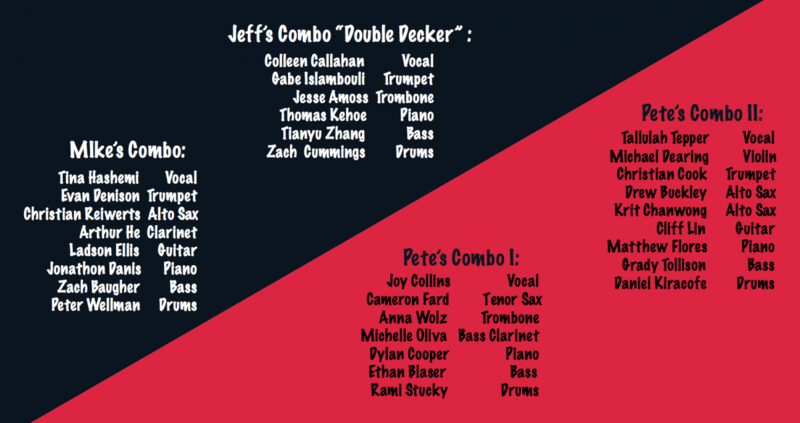 The combos range in size from quartets to octets and vary in skill-level from intermediate to advanced. Repertoire is chosen from a diverse range of jazz styles by such greats as Duke Ellington, Charlie Parker, John Coltrane, Wayne Shorter, Lee Morgan, Antonio Carlos Jobim, among many others, as well as original compositions by both faculty and students. For more information call 434-924-6492. All programs are subject to change.